The US and UK Banks have been illegally foreclosing / repossessing property, by not even checking paperwork and worse still, by forging it – whilst being bailed out by the Government with your future as collateral. Is that right or fair? How come the overpaid Bankers and their pretentious solicitors fail to provide any copies of certified contracts or documents when requested? Maybe it’s to hide fraud! And don’t expect your MP or elected representatives to help – as the Government is busy enough trying to get money out of you for it’s past mistakes and new ones as they work with the banks. Watch this video for what’s happening in the US – and then read on. 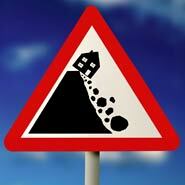 First it was sub-prime, now it’s moving to the average/middle-class home owners! The Bankers will do whatever it takes to screw the money out of you. They have gone to existing businesses in the UK and told them to make up the 75% Loan To Value difference, on demand, even if their properties are cash-flowing. Else they will be taken off them and sold at auction – most likely for a loss. How does that work or help anyone? Only got a small mortgage? Did you know that if you lose your job, you won’t be able to re-finance the equity! Fail to meet your mortgage payments and they’ll still repossess you. Aren’t you glad you did business with that lovely mortgage broker! It appears that common sense says if you can’t afford to pay your mortgage and are in huge negative equity then the real option seems obvious! How much financial pain can people take before they say, “Screw It” and stop paying the crooked Bankers? So it’s good for the economy if you look at it. After all, someone has to pay the Estate Agents, Solicitors, Mortgage Brokers, Bankers and Government employees, else they’d have to go and do something productive for the world instead.